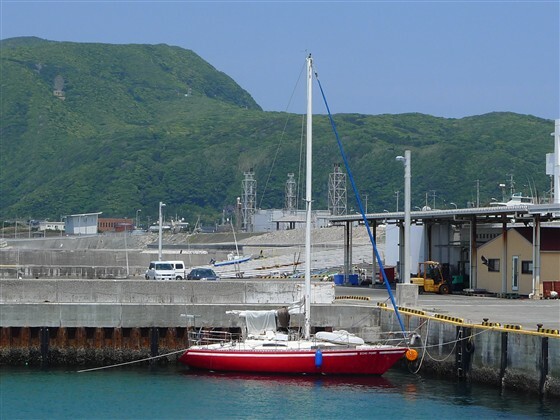 You may have whole view of Nii-jima Port at 34 22.500N　139 14.200E. Passing by a red lighthouse on your right, you move into the port. It is hard to find a yellow mark at the right end of a breakwater surrounded by tetrapods running from your left. 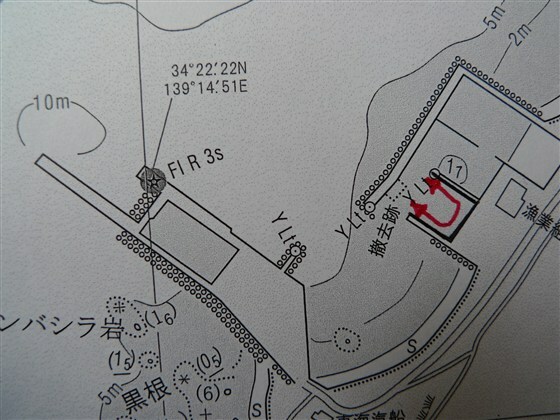 Go around behind the yellow mark to move more into the port. 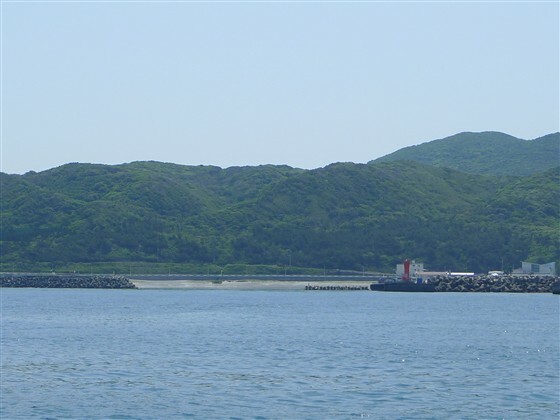 The berth for pleasure boats such as sail boats and power boats is designated in the port. It is a boat pool on your right just after turning left at the port entrance. Sail boats will be moored usually at the southeast quay in the back of the boat pool. If two fishing boats are moored alongside there, the remaining space will be just for one boat. Then you moor at the quay on your left usually, or right. A big water tap is embedded on the quay floor at the corner of the boat pool. A clean western style toilet is within a stone’s throw. 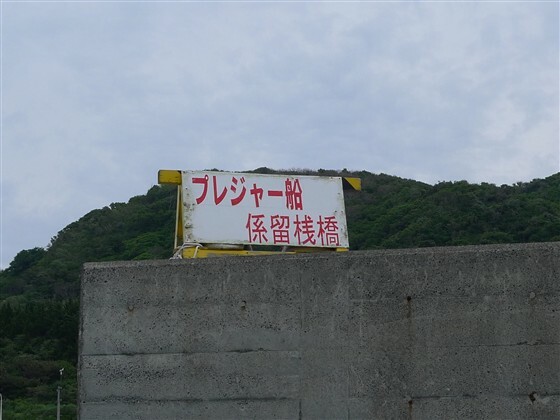 - Mamashita Onsen has a great ocean view. JPY300. - Nii-jima Hot Spring Lodge, JPY400, has a coin laundry. Nii-jima Store for provisioning is 10 minutes walk away in downtown Nii-jima. Restaurants are in downtown Nii-jima and inside the building of Tokai Kisen, a ferry company. Downtown Nii-jima and an airport are in the middle of the island.